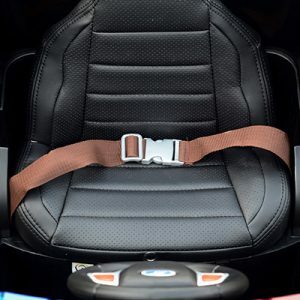 This ride on car has realistic lights, microphone & leather seating! 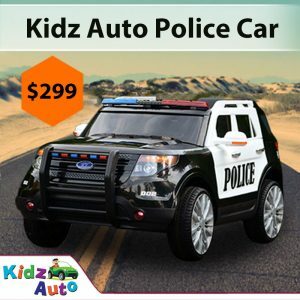 We at Kidz Auto are proud of our awesome and high-quality kids’ police car. 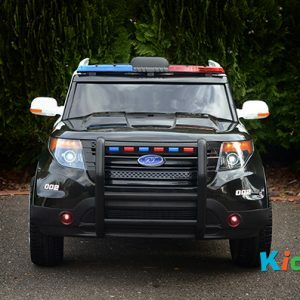 With working flashing lights, built in microphone, MP3 connects and leather luxurious leather seating your your child will enjoy chasing baddies down the streets. This is a toy car that every child in Australia wants to have. Popular car for a popular kid! Get one for your little one today. 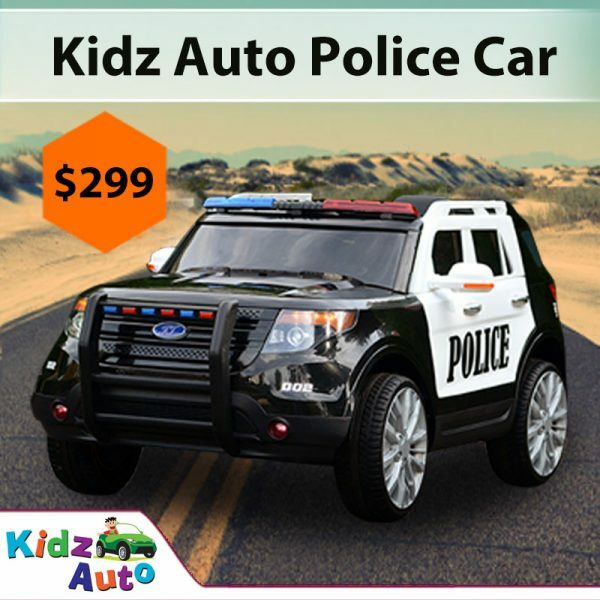 Packed full of cool features, it’s a dream of every little policeman-to-be! 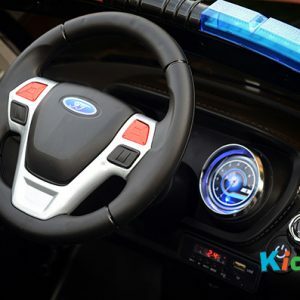 Electric Ride on Police Car – Suitable for Boys & Girls from 3 to 8! 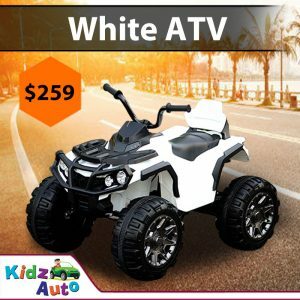 The electric toy car is suitable for children aged 3 to 8, and both boys and girls would look cool while driving it. 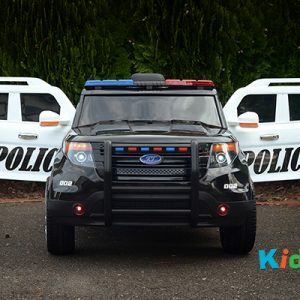 This police car not only has working flashing lights, it also has authentic sounds and realistic microphone that not only provide lots of fun but also give the impression of a realistic street patrol. The weight capacity is up to 30kg so you know that it will last for a long time while you kid grows! Kidz Auto’s awesome toy car has a forward and a reverse gear, so your little pumpkin can drive in all directions. 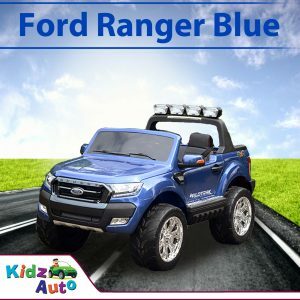 Whether you are in Sidney, Perth, and Brisbane, or in any other corner of Australia, your little one will spend so much fun time while driving this awesome kids’ electric car. 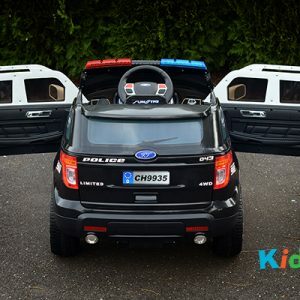 The police car for children is a mighty machine with twin driving motors (2 x 35W), and your precious one will feel like the coolest kid on the street while driving it at a secure speed range of 3—5 km/h. 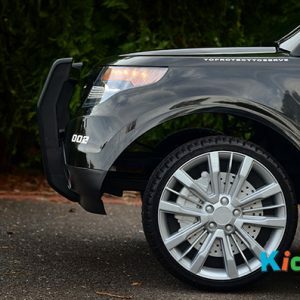 Pardon, your kid will feel like the coolest police officer that patrols the streets. 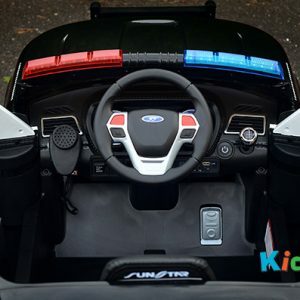 Safety of your child is our priority so we have equipped this police ride on toy car with lots of safety gear because your kid should have a safe exploration of Australian outdoors! 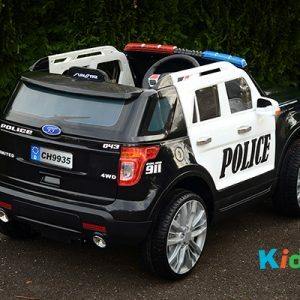 This machine for kids also has a seatbelt, so you won’t have to worry about your child when he embarks on his policeman journey. 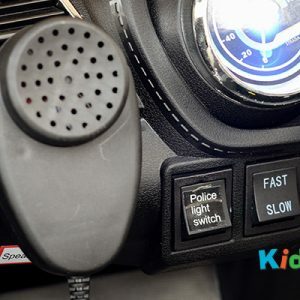 There is also an awesome parental remote control packed with the police car so you can literally take control into your own hands if that becomes necessary. 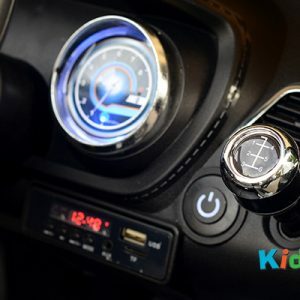 Our awesome new ride also comes with an MP3 connector so your cool child can listen to some cool music while riding his mighty Kidz Auto machine. 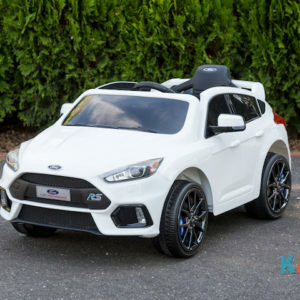 And don’t worry; your kid will not lose a minute of fun play as the police toy car comes with an SAA approved battery charger (for a 12V battery).